If we told you we were doing a prune taste test, would it sound like we were trying to “spruce up” the menu at a senior living community? Let infuse for approximately 2 weeks. Delicious! For the prunes, we used Newman’s Organic. They were very soft and juicy for a dried fruit, and had no added sweeteners or preservatives. We split a 6 oz bag between the 2 spirits, which turned out to be about 10 large prunes per jar. As for the taste test, both my husband and I prefer the Prune Bourbon. My husband is a bourbon lover. He loves all bourbons, especially on their own, so that is not really a fair judgment. But for myself, I am not a huge bourbon fan. I love a good Manhattan, and there are certain other bourbon cocktails that are spectacular, but it is not typically something that I would have on its own. Infusing bourbon has really changed my feelings about this spirit. I have to say, I think bourbon makes some of the easiest, and tastiest liqueurs we have made. It has so many flavors and sugars of its own, and they blend so nicely with nearly anything that you would choose to infuse. The Prune Brandy is also spectacular, so don’t let this rant convince you not to try that as well. I can see why the “prune” industry has been trying to give itself a face-lift over the past few years. I believe the proper term is now “dried plums” but they will always be prunes to me… But I think I’ll start buying them more often now! 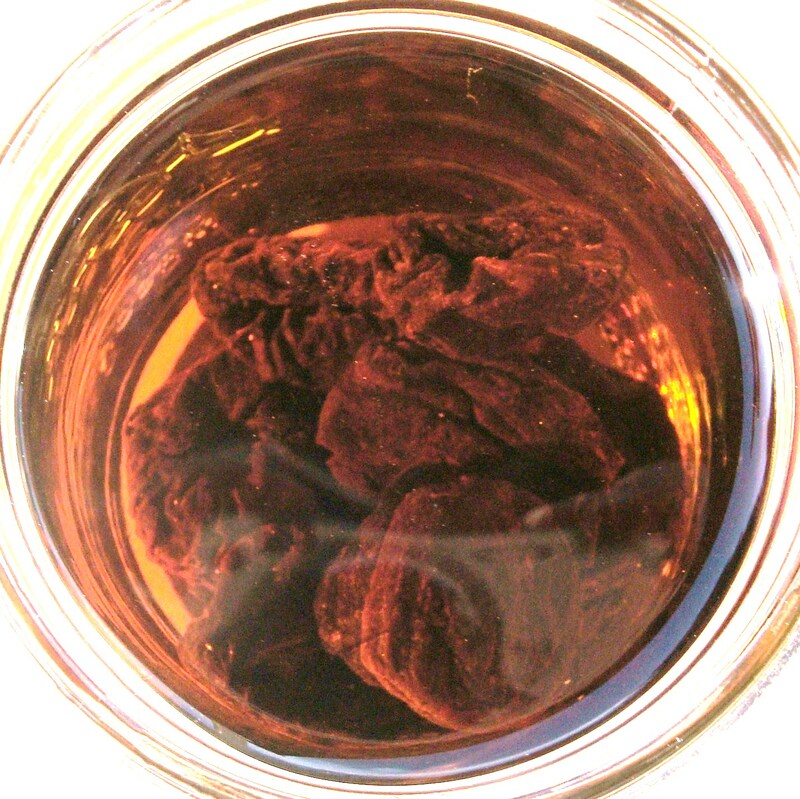 Categories: Infusion, Liqueur, Recipes | Tags: Bourbon, brandy, Liqueur, Prunes | Permalink. Thank you SO MUCH! Really, your blog is one of my favorites. I am truly flattered. This sounds like a perfect idea to me. Prunes are just dried plums, and who doesn’t love plums? I imagine the prune infusion is extra-rich, almost like a port. Delicious! youre right! A lot of the dark dried fruits in bourbon or brandy tend to have a dessert wine richness to them, and I think can be enjoyed in the same way. I hope you try it! I love the flavor of prunes, or dried plums, or whatever you want to call them. I bet either of these would be delicious! My hubby’s a bourbon man, so maybe we’ll try making that one sometime soon…. I’m curious – what bourbon do you use for recipes like this? I can’t imagine that it would be anything super expensive kind to use for infusions, but I can’t imagine that it would be the cheap stuff either. Any recommended brands? Hi Kristen, I’m so sorry it took so long to get back to you! You are right, as far as the alcohol goes. Generally, I like to use a mid-level brand. For bourbon infusions, I usually use Jim Beam. Some people like to use Makers Mark, but I don’t think it is necessary. Jim Beam does great. 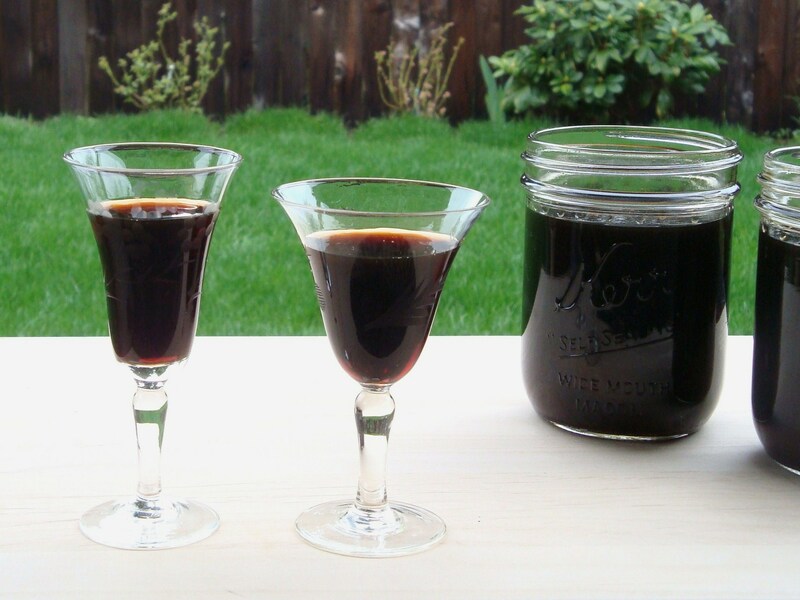 Just made my first batch off the site…prune brandy. It is awesome! I followed the directions as written except I added a couple ounces of dried currents I found in the same section at the Amish store in Verona N.Y. I love smoking cigars and having straight brandy…now this will be my new obsession…thanks for the great web site!